Dancer Pia Bunglowala reminisces the experience of the recent performance at Delhi. Dance has always been an integral part of me. And one of my most favorite thing of being a professional dancer is the fact that it takes you to interesting places and you get to meet a lot of interesting people. My association with Nritarutya has been one long journey in itself. And this month it took me again to the capital city, Delhi. The event was for the motor giant Jaguar. We presented three of the company’s repertory sequences out of which I was a part of two. Every performance has its own set of challenges and this time, the challenge was time and maintaining poise in midst of the most hectic schedule ever! C’est la vie! 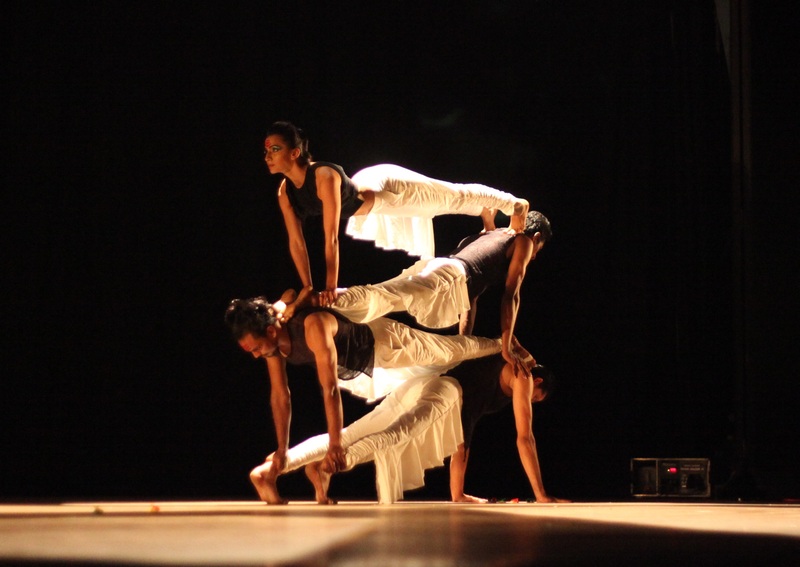 To cut yourself out from the external environment and maintain an inner peace while rehearsing the Yoga piece choreographed by Mayuri was a task. It helped that the piece was set to the soothing “Shanti Mantra”. The music’s calming effect remains to be unexpressed. And it also helps when you have a choreographer like Mayuri. She understands the demands of a grueling schedule and tries to brings out the best from a dancer using the reserves for their strengths. And the other piece was “3 sides”. This piece has so got into the dancers’ system, we can perform it in our sleep as well! With Sathya’s watchful eyes, the piece took shape with miniscule corrections. And the D – day arrived, flying to Delhi after another performance. We reached the day of the performance, a quick tech run and bang! it’s show time. It is challenges like this that make a professional dancer.